During the month of August, PennTrackXC is giving you wall-to-wall coverage of the upcoming cross country season! We'll be going through each district, previewing the top teams and individuals. We will be starting with a look at the team battles and then moving on to individuals in the second half of the month. With our rankings, you'll get an "objective" stat-based look at each district, and with our breakdowns, we'll give some "subjective" thoughts on the action you can expect this fall! 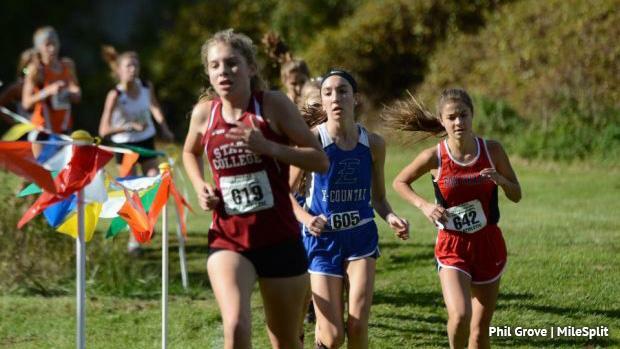 Keep track of all of our 2018 XC preview content HERE! Which individuals will rise to the top of District 6 this fall? Defending 1A district champ Julia Cusatis will go for a repeat crown. In AA, Emily Montag will look to hold off Rosie Chan. State College is packed with top individuals looking for the district title this season in AAA.